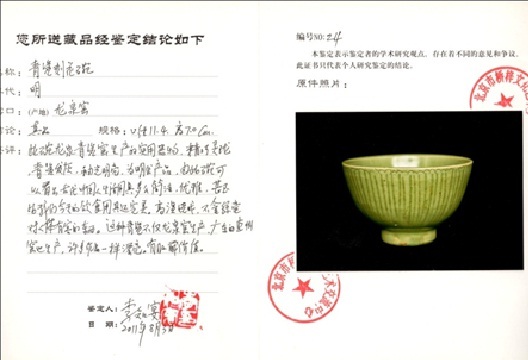 Appraisal: This bowl is an artifact from Longquan kiln. It is very delicate and exquisite, and served a practical purpose. 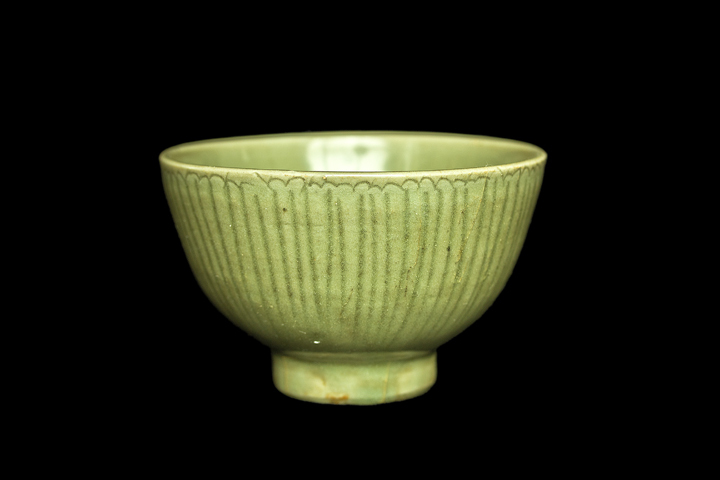 The exquisite celadon shows slightly grey tone, the glaze is shiny and bright—it is an object from the Ming dynasty. 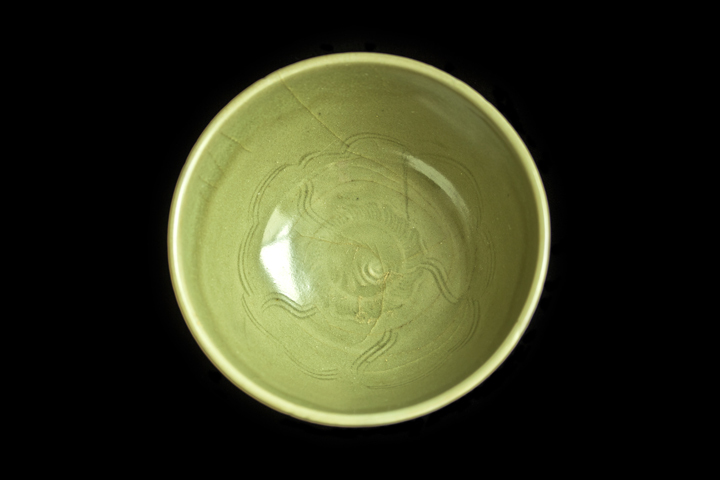 Thus reflects how simple and elegant the ancient Chines table wares were, and even more perfect than our daily eating utensils today. 高温烧成，不含丝毫对人体有害的东西。 They were fired at high-temperature. In addition, the natural materials do not contain any elements that are harmful to the human body. 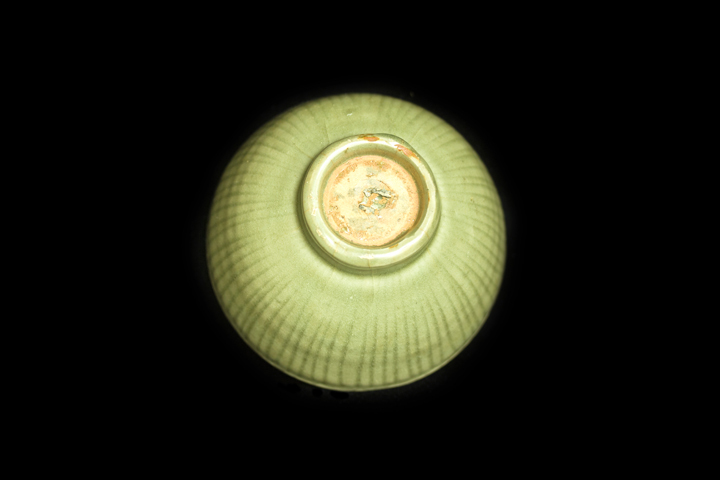 Not only Longquan kiln produced this kind of beautiful celadon, the Huizhou kiln of Guangdong province also produced them which are as beautiful as those made from Longquan kiln. This is highly worthy of collection.